Context: Clinical verification is an ongoing research program of the Council that verified many rare homoeopathic drugs. Aim: This study was carried out to clinically verify the "symptomatology" of Cynodon dactylon and to ascertain the prevalence of symptoms in the "improved" and "not improved" groups. Materials and Methods: The study was a multicenter, open, observational study. A total of 462 patients were enrolled after matching with the available symptom, compendium of the drug, and eligibility criteria in seven units/institutes of the Council. The medicine was prescribed in 6C, 30C, 200C and 1M potencies as per the need of each patient, following homoeopathic principles and the protocol developed by the Council. The collected data were presented in terms of descriptive statistics. Prevalence of the symptoms in the responding and nonresponding population was compared using Chi-square test or Fisher's exact test, as appropriate. Results: A total of 340 complete cases were analyzed; male/female was 204/136; mean age was 29.7 years. There were "clinical successes" in 274 (80.6%) cases and "failures" in 66 (19.4%), judged subjectively by the physicians. A minimum of two prescriptions was considered for pick-listing each symptom as per protocol. The number of symptoms verified was as follows: proving symptoms (n = 43), symptoms from other literature (n = 10), and new clinical observations (n = 57). Conclusions: A total of 53 recorded symptoms were verified and 57 new clinical symptoms were identified. Further replication and estimation of likelihood ratio in general practice settings are crucial for confirmatory inclusion of the symptoms in homoeopathic literature. Context: Clinical verification is an ongoing research program of the Council that verified many rare homoeopathic drugs. Aims: To clinically verify the "symptomatology" of Ocimum canum by ascertaining the prevalence of symptoms. Materials and Methods: The study was a multicenter, open, observational trial. A total of 214 patients were enrolled after matching with the available symptom compendium and eligibility criteria in seven units/institutes of the Council. The medicine was prescribed in 6C, 30C, 200C and 1M potencies as per the need of each patient, following homoeopathic principles and protocol developed by the Council. The collected data were presented in terms of descriptive statistics. Prevalence of the symptoms in the responding and nonresponding population was compared using Chi-square or Fisher's exact test. Results: A total of 173 complete cases were analyzed; male/female: 76/97; mean age: 31.09 years. There were "clinical successes" in 147 cases (85.0%) and failures in 26 (15.0%), judged subjectively by the physicians. A minimum of two prescriptions was considered for pick-listing each symptom as per protocol. The number of symptoms verified was proving symptoms (n = 10), symptoms from other literature (n = 12), and new observations (n = 42). Conclusions: A total of 22 symptoms were verified, and 42 new clinical symptoms were identified. The newly observed general symptoms and polar symptoms may be worth consideration and evaluation. Further replication and estimation of likelihood ratio in general practice settings are crucial for confirmatory inclusion of the symptoms in homoeopathic literature. Aims: This study was done to clinically verify the symptomatology of Formic acid by ascertaining the symptoms improved during verification and to incorporate new findings (if any) to the known symptomatology of Formic acid. 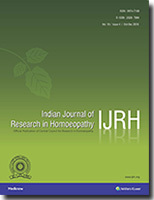 Methods: A multicentric observational clinical verification study was conducted at nine research centers of Central Council for Research in Homoeopathy to verify the proving symptoms of rarely used medicine, Formic acid. Two hundred and seventy participants having symptomatological similarity with Formic acid were included and prescribed in 6C, 30C, 200C, and 1M potencies, as per need of each case. The data were compiled in a specially designed Excel spreadsheet for further analysis. The collected data were presented in terms of descriptive statistics. Prevalence of the symptoms in the responding and nonresponding population was compared using Chi-square or Fisher's exact test. 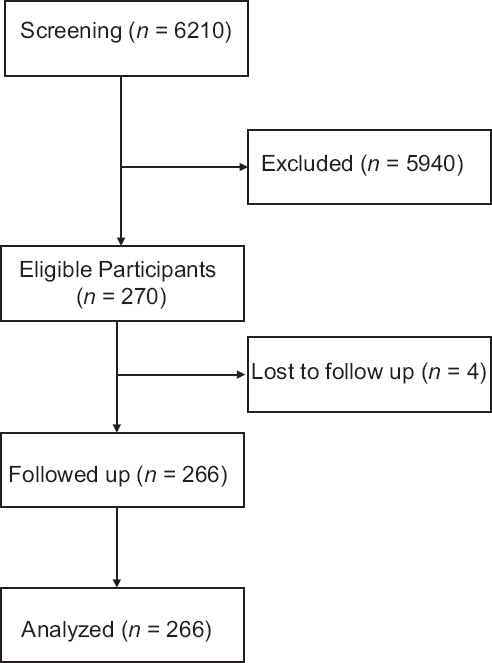 Results: Out of 266 followed up patients, 215 cases responded (80.8%) with 95% confidence interval of 0.75-0.85. The number of symptoms verified was as follows: proving symptoms (n = 11) and new observations (n = 22). The widely emerged new general symptoms, i.e., clean tongue, disturbed sleep, loose stool, tastelessness, and profuse sweat may be worth consideration during prescription of Formic acid. Conclusions: The proving symptoms of Formic acid could be verified clinically, but the correlation of patient-specific symptom needs cautious interpretation. Further replication on larger sample and estimation of likelihood ratio in real-time clinical practice are needed. Background and Objectives: In mosquito vectors, dengue virus (DENV) invasion occurs through midgut cells, but available mosquito cell lines for in vitro study of DENV are prepared from eggs or larvae, which are not appropriate models, to study its infectivity. Hence, we developed a new primary cell culture, from Aedes albopictus mosquito midgut, and standardized it for in vitro study of DENV, with an aim to find out any possible role of homoeopathic medicines, in preventing or reducing DENV invasiveness in these midgut cells. 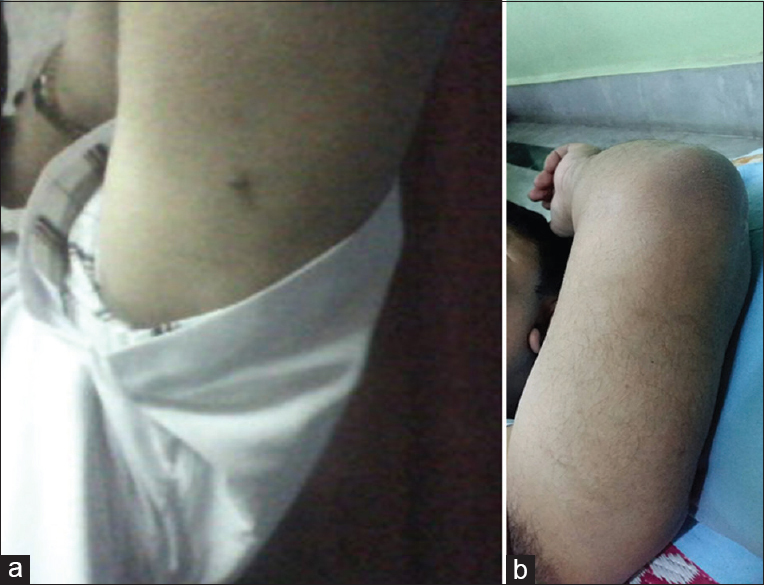 This midgut primary cell culture demonstrated prominent cytopathic effects on infection with wild DENV isolated from dengue-infected patients in viremic phase. 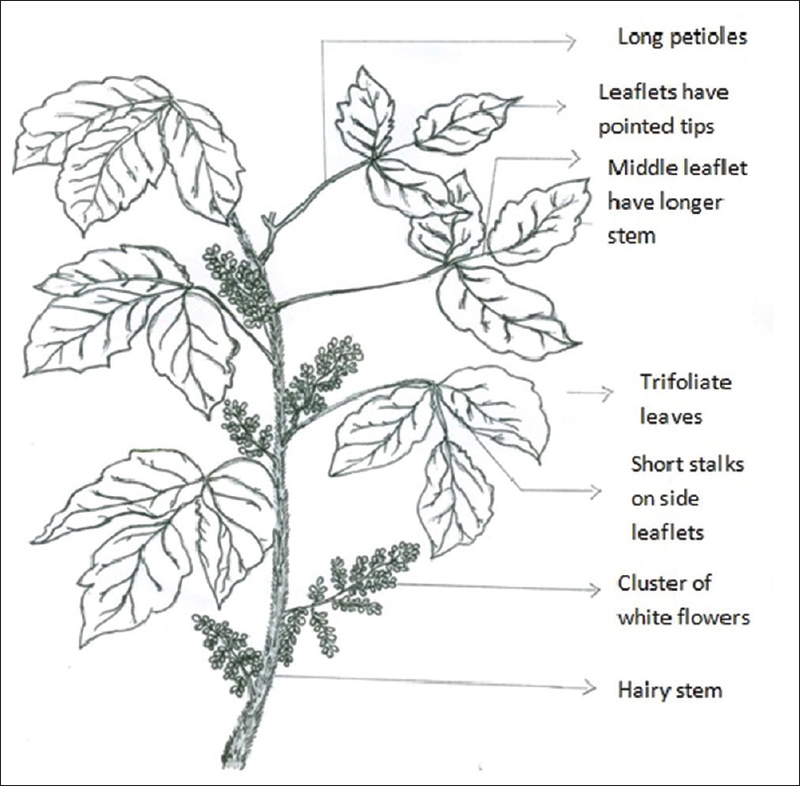 Materials and Methods: In this paper, we observed the direct effect of homoeopathic medicine Rhus toxicodendron 6C (Rhus tox 6C) (ultra dilution of 10−12 ) on this primary cell culture, to find out significant changes, to be used as baseline data in future experiments to observe possible role of Rhus tox 6C against DENV infection in these cells. Hence, these direct changes may be a prerequisite for the action of this medicine against DENV invasion; as this is one of common repertoire homoeopathic medicines used against dengue fever. Conclusion and Discussion: In our experiments, we found that Rhus tox 6C could increase cell size and help organization of cells on the solid surface as observed under scanning electron microscope although the total number of cells was decreased. Moreover, Rhus tox 6C treated cells were healthier as indicated by less number of deformed, clump, and diploform cells. Background: Prostatic enlargement (prostatomegaly) is a common condition in aging men which can be progressive and lead to acute urinary retention and ultimately need for surgery. Although clinical evidence of disease occurs less commonly, symptoms of prostatic obstruction are also age related and if untreated affect quality of life. Patients with huge prostatic enlargement mostly undergo surgical intervention. Objective: To assess the usefulness of homoeopathic medicines in patients with huge prostatomegaly, a clinical study was conducted at Gaurang Clinic and Centre for Homoeopathic Research, Lucknow, India. Materials and Methods: A total of 116 patients have been shortlisted with prostate weight above 50 g, out of which 61 were found fit for the study. The medicines have been selected on the basis of principles of Homoeopathy. 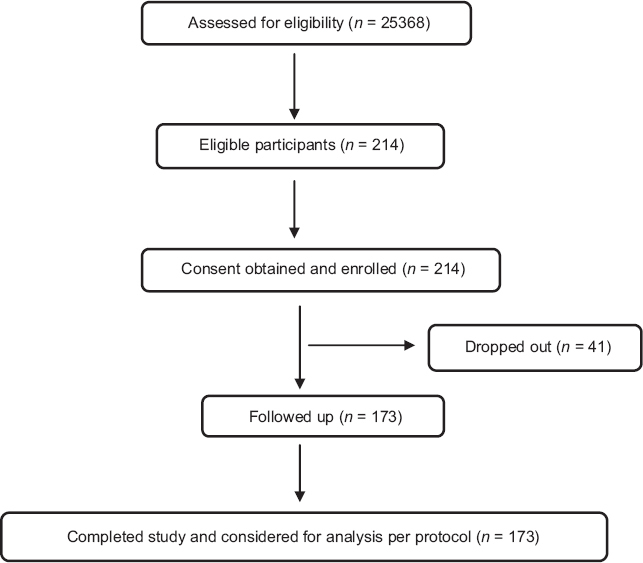 Prostate weight and postvoid residual urine (PVRU) on ultrasonography were assessed before and after treatment. 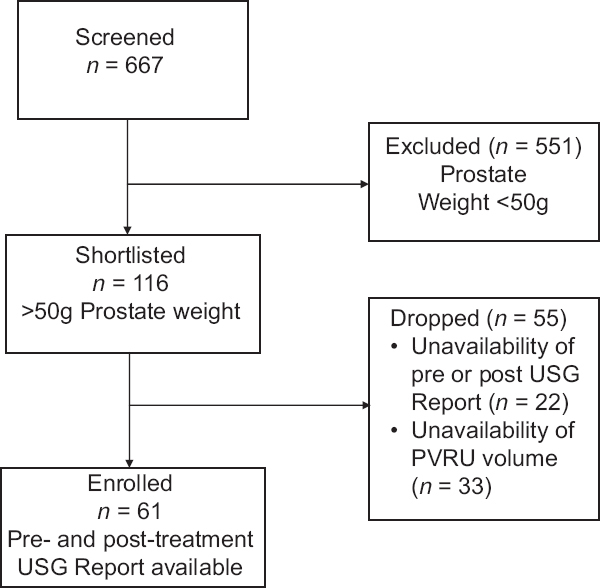 Results: After comparing pre- and post-treatment results, the difference in mean values of prostate weight and PVRU were 67.47 ± 2.78-60.15 ± 3.62 (P < 0.001) and 91.61 ± 11.91-65.94 ± 9.01 (P = 0.009), respectively, which were found statistically significant. Lycopodium (n = 21), Pulsatilla (n = 7), and Nux vomica (n = 3) were found to be most useful medicines. 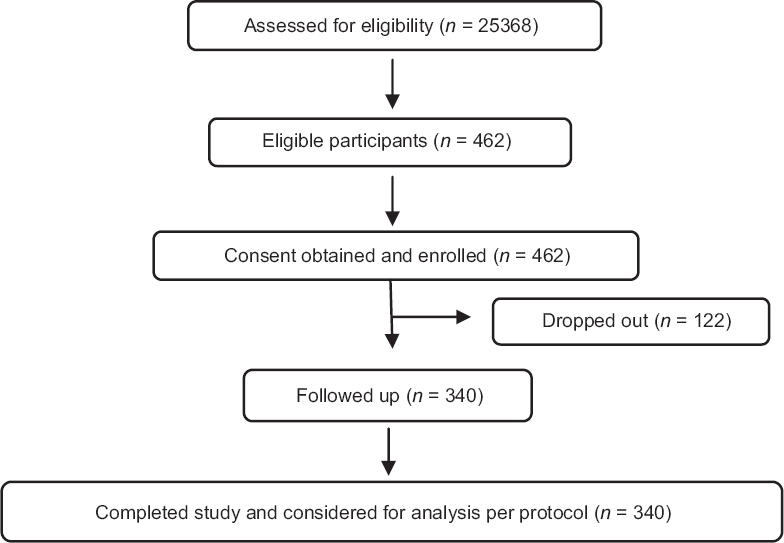 Conclusion: Results obtained from the study are encouraging with findings that almost 64% of patients reduced their prostatic weight significantly. However, such study with inclusion of more parameters is needed for further validation of the role of homoeopathic medicines. Warts are the growth of skin resulting from human papillomavirus infection. These may be single, multiple, smooth, or cauliflower-like and are generally treated by applying medicine externally or surgical excision procedure. Homoeopathy has a major role in the treatment of warts and most of the homoeopathic doctors use medicine in centesimal potencies. Five cases of warts were treated, two cases with centesimal potencies, and three cases treated with fifty millesimal potencies. Cases treated with fifty millesimal potencies responded more quickly than centesimal potencies without aggravating the complaints and without applying any external medicines. There is a possibility that fifty millesimal potencies have higher beneficial effects, in the treatment of warts, which can be explored further.